How much do you trust your pallet manufacturers? Certainly enough to build your pallets. But if given the choice to lighten your workload and ensure smoother operations, would you allow a pallet manufacturer access to your company’s production schedule? For most, that last step is one too far: you probably don’t feel comfortable sharing your production schedules or inventory management processes. And why should you? Vendor-managed inventories are changing perceptions, making sharing this once-classified information seem more reasonable. The concept anticipates and eliminates the capacity and supply issues that arise when a company orders a last-minute load. Sharing production schedules makes it easier for businesses, and for pallet-makers; it helps to ensure that pallets arrive on time, as needed. 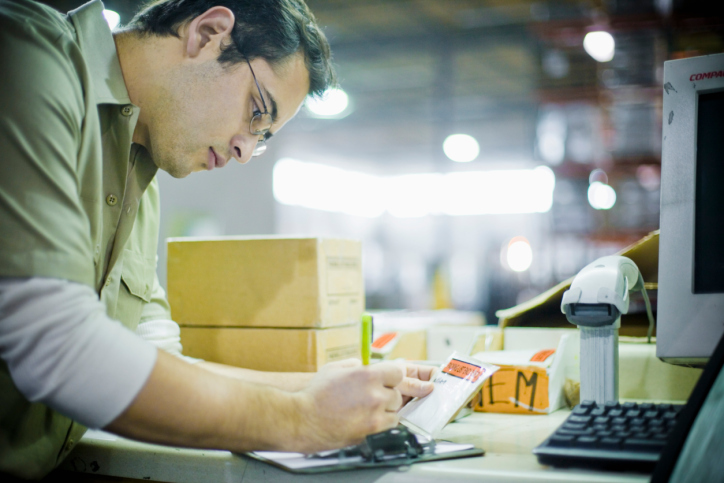 So what exactly is vendor-managed inventory? It’s a system in which the vendor—not the purchaser—places the stock order. They can anticipate the purchaser’s needs because they have access to the production schedule. It removes the constant re-ordering process and eliminates a potential error point in the logistics chain. Instead, the vendor already knows, and is therefore prepared. Fewer surprises, no late orders, and less problems. This is hugely beneficial if you view pallets as a “necessary evil”—not something you want to spend too much time thinking about, just a way to get your product from point A to point B. This mentality sadly means that many managers leave pallet orders to the last minute and urgently place orders the day prior to shipment. The pallets aren’t always in stock, and if they are, the urgency creates unnecessary headaches for both the vendor and the purchaser. Vendor-managed inventory overcomes this challenge. The biggest issue is trust. Vendor-managed inventory places the responsibility squarely on pallet manufacturers’ shoulders. However, purchasers are often uncomfortable with opening that door, even if they’ve worked with a vendor for decades. Purchasers and vendors need to work together to assess if vendor-managed inventory is the right solution for their working relationship. One way you can evaluate your pallet manufacturer is in the quality of their work and service. If you have worked with a pallet manufacturer for years, and are satisfied with the pallets, the speed of delivery, and their communication, this bodes well for placing more trust in them. Vendor-managed inventory is a new concept, and many professionals are still warming to the idea. The main benefits—that it ensures on-time deliveries while lightening the load of an organization’s staff—far outweigh the psychological trust barrier. Since pallets are a crucial component of many manufacturers’ businesses, it’s worth considering how this new system can streamline operations and minimize last-minute stress.